Yes, that is another vintage turquoise appliance. 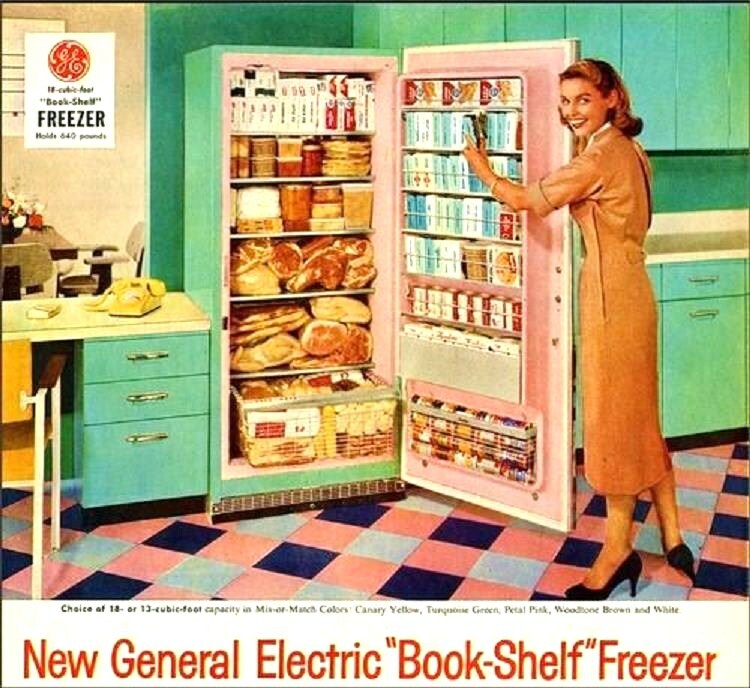 This time it is the 1957 GE Book-shelf upright freezer. Sitting smack dab in the middle of a kitchen filled with turquoise steel cabinets. The fact that that gorgeous freezer has a pink interior... just adds to my pain. The pain I have because that there is only three popular options for appliances. White, black and stainless steel. And none of those remotely interest me enough, to spend my money on them.